Okay, in an effort to be more honest, I'm going to share some of the actually excuses I have told myself when I thought I should be working on blog posts, to convince myself not to. Try not to judge me by my ridiculousness. My camera doesn't take good pictures. The lighting isn't good for pictures right now. My life is boring. I don't have anything good to post. I should really organize my closet. I will after I finish this self help/creativity boosting/interesting book. I should really read some other blogs for inspiration. I don't want to be copying other bloggers. I don't have anything unique to say. I really need to clean my office before I start. This really isn't the right time of month for that post. This is kind of my way of getting it out in the open, so next time I try to self sabotage, I can tell myself to knock it off. Does that make sense? 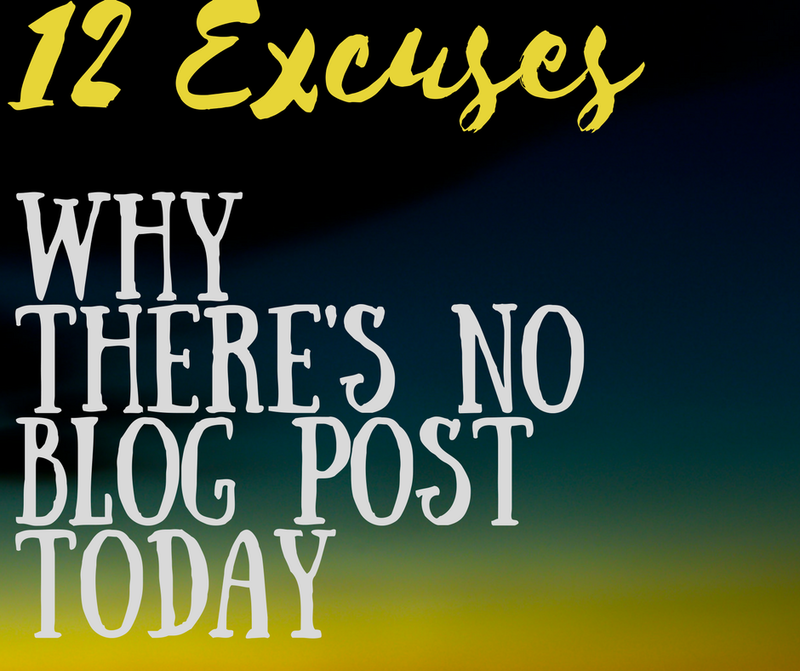 So, for you other bloggers, what do you tell yourself that gets in the way of your blogginig? 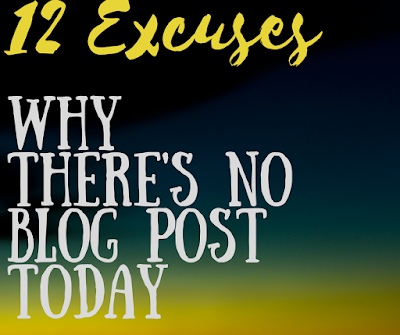 Or if you don't blog, what excuse have you used that can unravel your creativity faster than any other? I'm trying to be less self sabotaging, and have more self discipline, but it's a hard journey friends. All of those excuses run through my head! Another one is that "no one would want to read this" or "I don't have time right now to respond to comments, so I'll post next week when life settles down" or "no one will comment anyway"...oh, the things we tell ourselves! Post it anyway!! Oh the lies we tell ourselves! You're right, we need to Post it Anyway!